WATERLOO - John P. Bergman, 60, of Waterloo, formerly of Jesup and Independence, died Tuesday, Jan. 24, at Ravenwood Nursing and Rehab Center of cancer. He was born July 19, 1951, in Corning, son of John Allen and Norma Joyce Brown Bergman. He married Shirley Ann Klinge on Feb. 3, 1973, in Dubuque, and they later divorced. He married Janet Kaye Miller on Oct. 19, 2001, in Waterloo. Mr. Bergman graduated from Corning High School in 1970 and attended Hawkeye Institute of Technology's police science program. He was a member of Blessed Sacrament Catholic Church and Knights of Columbus Council 700. He began his professional working years as a police officer in Ackley and Eldora, and later was a sheriff's deputy in Buchanan County, before serving as sheriff of Buchanan County, beginning in 1977. He was a police officer in Jesup, where he later served as chief of police for many years. He also had owned and operated Bergman Painting. He was a member of the Iowa High School Athletic Association and was a referee at many area sporting events. His music activities also included playing trumpet in a big band. Survived by his wife; two sons, John A. (Heather) of Jesup and Robert (Angel) of Grundy Center; two daughters, Sarah (Derek) Maeder of Bondurant and Marcia (Scott) Riggs of Rochester, Minn.; six grandchildren; his mother of Corning; and three brothers, Jim (Colleen) of Independence, Howard (Regina) of Elk Horn, Neb., and Joe (Marilyn) of Corning. Services: 11 a.m. Saturday at Blessed Sacrament Catholic Church, with entombment in the mausoleum at Mount Olivet Catholic Cemetery. Visitation from 3 to 8 p.m. Friday at White Funeral Home, Jesup, where there will be a 4 p.m. Knights of Columbus rosary and a 7 p.m. vigil service. Visitation also from 9:30 a.m. until services Saturday at the church. Memorials may be directed to Hospice Compassus of Cedar Falls or to the family. 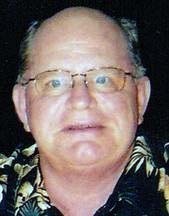 John had a love for music and was a longtime member of the Cedar Valley singing groups "Proud Image" and the "DooWops." He also enjoyed fishing with friends and was an avid woodworker.